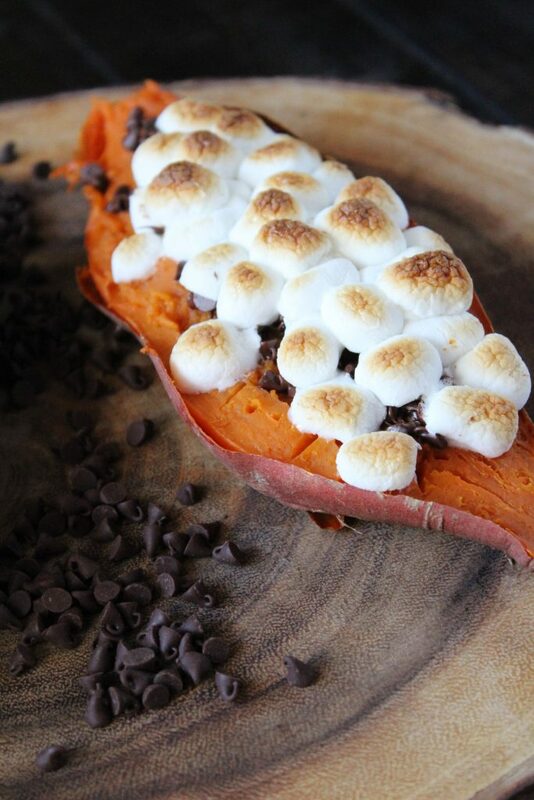 Baked Sweet Potatoes with Chocolate Chips and Marshmallows make these potatoes into a s’mores like dessert. Once thing I always pick up at the grocery store is sweet potatoes. Every week I throw one or two in my basket. But usually I do the same things with it – breakfast hash or roasted in the oven with Brussel Sprouts. Not that’s there anything wrong with that. Why mess with a great thing. 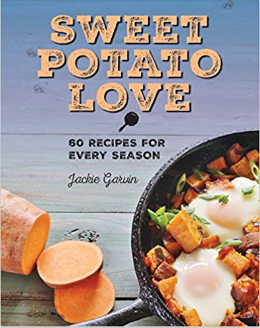 But then I was sent this cookbook, Sweet Potato Love by Jackie Garvin, with a whole new book of ideas to use sweet potatoes. Score! I’ve already made the granola (oh my!) and have made these stuffed Baked Sweet Potatoes with Chocolate Chips and Marshmallows a couple of times now. If you’re like me and love getting ideas from cookbooks, you won’t go wrong with this one. Lots of great ideas and the recipes are organized by season, which is a bonus for me. Although I’ll probably make this particular recipe year round. This also makes a great addition to your Lent menu. I could eat one as an entire meal. See more Lent recipes below. 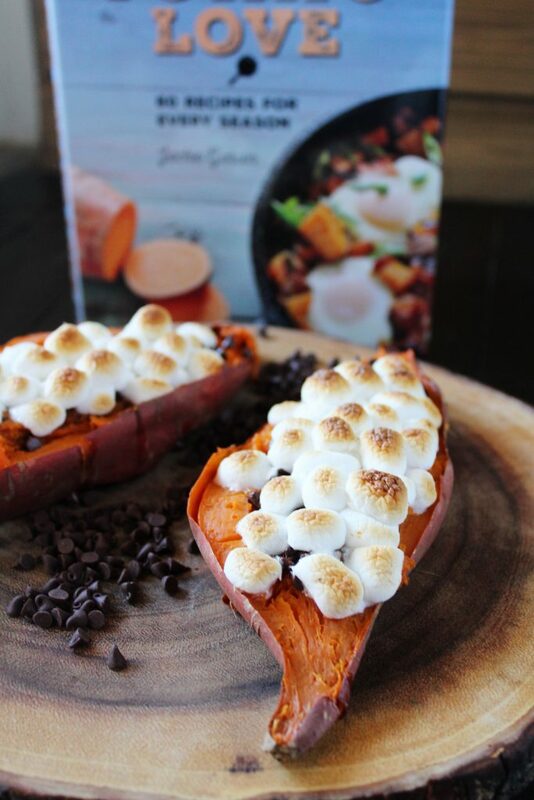 Baked Sweet Potatoes with Chocolate Chips and Marshmallows make these potatoes into a s'mores like dessert. 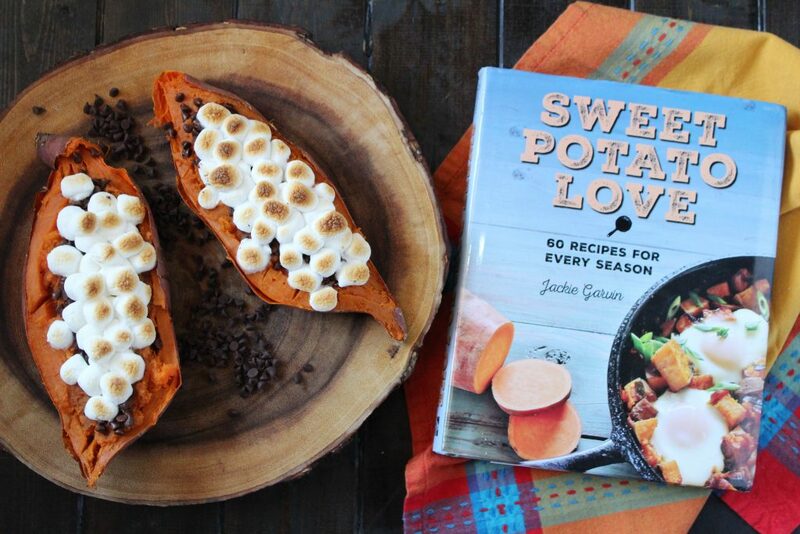 Cook sweet potatoes either in the oven for 1 hour at 400 degrees or in the microwave. Once sweet potatoes are cooked, cut down the middle to form two halves. Scoop out the sweet potato filling and sprinkle with a dash of ground cinnamon. Mix together and place filling back in the sweet potato skins. Top with mini chocolate chips and press down. Add mini marshmallows on top. Place in oven and broil until marshmallows are lightly browned. Or a little charred if you like it crispy. ** Affiliate links to the cookbook. If you purchase the book through this link, Amazon will give me a teeny tiny commission at no cost to you. *** The publisher sent me a copy of this book to review but all thoughts and opinions are my own.